When you’re trying to stay as competitive as possible in the Internet marketing game in Calgary, SEO is an often bandied-about term. 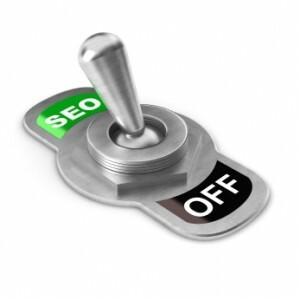 Short for “Search Engine Optimization”, the phrase SEO comes heavy with meaning and importance. It can seem a deep mystery that only those “in the know” are able to decipher, but the truth is SEO is more about diligence than the covert. Every element on your webpage matters to search engines, and SEO is simply a way to help identify them for web crawlers. By properly managing your images, you can add an extra layer of optimization to your site that will also enhance the user’s enjoyment. 1. Google is only able to index images in the correct format. Always save your images as any of the following: BMP, GIF, JPEG, PNG, WebP and SVG, says Lindsey Kirchoff of HubSpot’s The Marketer’s Guide to Search Engine Optimizing Non-Written Content. 2. Put some thought into naming your images. Do your best to apply an appropriate keyword that also describes the picture. And if it’s a cartoon, infographic or original artwork, it’s wise to include that information, as well. For example, a good name for an image to optimize your SEO would be, “Calgary-flood-statistics –infographic-John Smith”. 3. Alt tags are equally as important as images names. Again, be as descriptive as you can and incorporate keywords. It’s totally acceptable to fill in the same phrase as your image name. 4. Again, if you have something neato and unique on your page such as a cartoon, infographic or original artwork, it’s worth it to mention it. But this time, it should be in the page content. Something along the lines of, “As you can see in the infographic of Calgary flood statistics by John Smith to the left…” This will get you another nod from search engines and an extra boost to your SEO. 5. Ensure your images load properly. To do so, when you save, make sure to reduce the file size of your image. For most images on the web, a dpi of 72 works fine. If you have Photoshop, you can also choose the “Save for Web” option from the “File” menu. 6. Don’t change image sizes in the source code. Although this is tempting because it’s so easy, if you have image-editing software it’s best to take the time to size your image separately and re-upload it to your site. 7. Remember to caption. Although captions are not that important for SEO per se, according to diythemes.com, they are usually the first thing a person reads when visiting your site, and hence your first chance to make them read further. A captivating caption can tempt a page visitor to explore more and delve deeper into your website. 8. Share and share alike. Post your images on your social networking site. Those that make the effort to include something visual with their posts tend to gain more followers, and it makes your social media page look better, too. 9. Don’t overdo the thumbnails. Even on sales pages, where you need to show your products, make your thumbnails as simple as possible to keep your page load times low. Try to avoid background colours, and sacrifice flash for simplicity. Make each thumbnail clickable, and present that specific product completely on a separate page. 10. Finally, take a moment to pick the right pic! It should match the content, plus add to the overall look of the page. Manufactured or created images work well for those in industries where there is not a lot of visual opportunity, such as accountants or insurance agents. If you do happen to be in an industry where there is a lot of visual opportunity – for example, virtually anything retail – then definitely take advantage. Have a professional photographer come in to take complimentary picture of your store, staff and products. A nicely-framed, well-lit photograph can often represent you and your business better than a thousand words of text.